American engineer. Test conductor of earliest Atlas launches; Convair base manager at Vandenberg. Born: 1927. Died: 2009-02-09. Birth Place: Newark, Ohio. Johnston grew up on a farm in Licking County. After a stint in the Navy from 1945-1947, he went to Ohio State University. After graduation in 1952 he worked for North American in aircraft electrical component test; then for Goodyear Aircraft in Akron. He was assigned by Goodyear to Holloman AFB, New Mexico, were he was test conductor for the Matador guided missile. 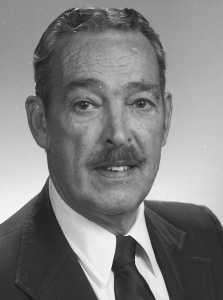 Johnston was hired by Convair in 1956 and worked on flight test planning and later was a test conductor for the Atlas A and B missiles at Cape Canaveral. Notably he was test conductor for Project Score and the launch of the first unmanned Mercury capsule. He then supervised construction and activation of Launch Complex 36, the first Atlas-Centaur launch pad. Johnston moved on to Vandenberg AFB, where he was Convair's chief test conductor for Atlas Space Operations. This was followed by assignments as the Abres Program Manager in San Diego and Convair Base Manager at Vandenberg. He then moved on to the General Dynamics Services Company, working as the corporate representative in Saudi Arabia. He retired in 1985. Johnston returned to full-time space work in 1997, joining Kistler as director of flight operations at Woomera, Australia. In 2002, after Kistler shut down due to lack of funds, he retired a second time. Country: USA. Agency: Convair. Bibliography: 4460, 4475. 2009 February 9 - . Death of Curt Johnston. - . Related Persons: Johnston, Curt. American engineer. Test conductor of earliest Atlas launches; Convair base manager at Vandenberg..